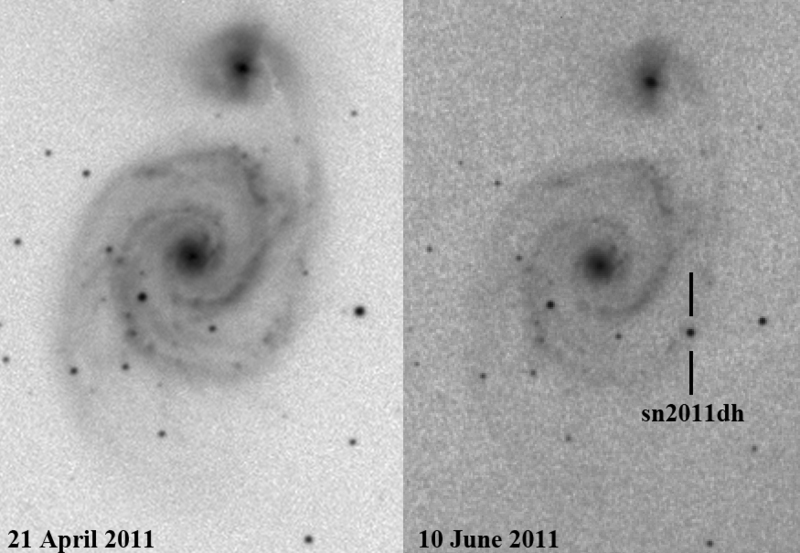 M51 befour and after the Supernova erruption. Observations by EL-OBS were made with a 80mm Apo Refractor on an HEQ-5 GoTo Equatorial Mount controlled by ASCOM interface and a Atik IC CCD monochrome Camera on Luminance filter. All measurements are made with "MuniWin" Freeware and on 10 image averages from 120 seconds exposures. Observation of mr. Ayiomamitis were made with an AP 160 F/7.5 Apo Refractor on an Eq-Mount and SBIG-ST10XME CCD Camera, data reduction was made with AIP4Win Software. Observations of mr. Manousos have been made visualy by observing from a 12" Newtonian F-5. 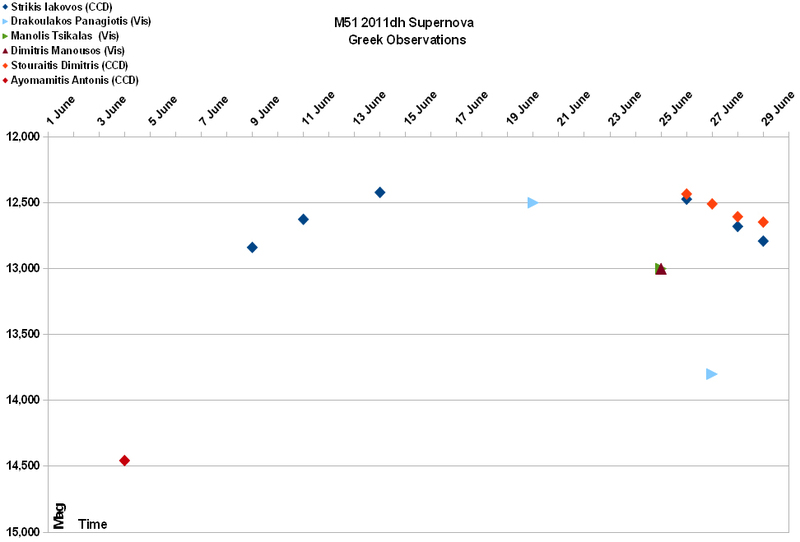 Observations of mr. Tsikalas have been made visualy by observing from a 16" Newtonian F-4.5. Observations of mr. Draculacos have been made visualy by observing from a 8" Newtonian.